UPDATE: More than half of our jumps have been rescheduled after last weekend’s windy Saturday that put the kibosh on all our jumps! Most on Sunday August 6th. Progress! SATURDAY, JULY 29 – JUMP DAY – Well, I guess after 6 years without a major weather issue, it was bound to happen?! All of our jumps were cancelled today because it was too windy, and therefore just too dangerous. 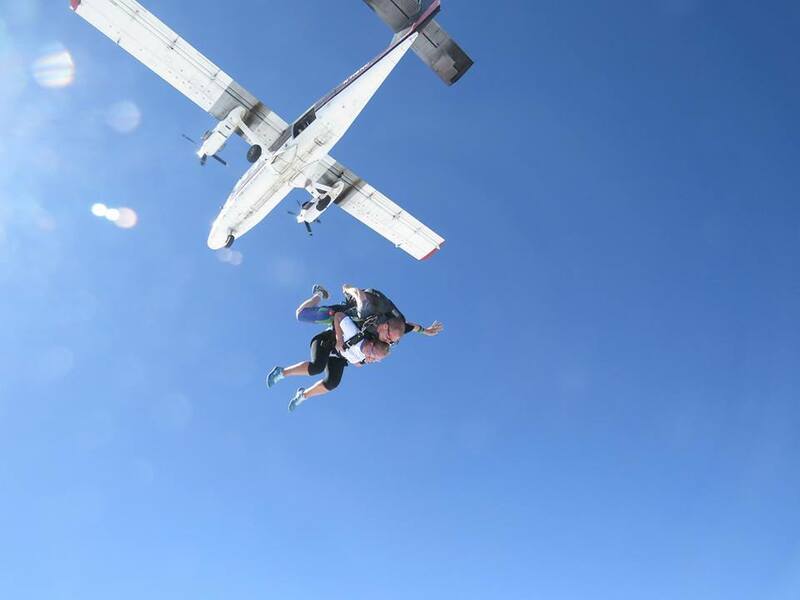 We greatly appreciate Skydive the Ranch for making safety the number one priority! All of the Wish Jumpers are in the process of re-scheduling their jumps. Thank you to all the Wish Jumpers for being flexible and understanding. Dang you Mother Nature! With all of that said, we have a very exciting announcement! Not only did we reach our fundraising goal of $30,000 for Make-A-Wish Northeast New York, we EXCEEDED that goal. As of this evening, our fundraising total is estimated at $39,785, and donations continue to come in. This is just AMAZING! Sincere thanks to each and every donor, and to the Wish Jumpers for working so hard to secure the donations from friends, family, and local businesses. You are just incredible! THANK YOU, THANK YOU, THANK YOU! Wishes come true because of you! Stay tuned for pics and videos of our jumps when they take place, and for fundraising updates!! “Like” our Facebook page for regular updates on all Wish Jump activity! This year is the 30th Anniversary of Make-A-Wish Northeast New York, so naturally, the Wish Jump 2017 fundraising goal for the local chapter is $30,000! The great news is, thanks to our generous donors, we have already raised $11,700 towards our goal. With just about seven weeks to go, we still have some work to do, but we are confident we will reach our goal! Wish Jump is an annual skydiving fundraiser for Make-A-Wish Northeast New York. It is the only continuous, annual skydiving fundraiser for Make-A-Wish in the country! It started in 2011, and since then has raised over $170,000. Money goes directly to the local chapter and is used for granting wishes to kids and teens who live in the 518 area codes and who have life-threatening medical conditions. Wish Jumpers collect donations, and then on the last Saturday in July, we all go skydiving together at Skydive the Ranch in Gardiner, New York. Every donation helps! Whether $5 or $500, it all adds up and helps make wishes become a reality for local wish kids. There is still time to become a Wish Jumper! Contact Mary at wishjump@gmail.com. Visit our DONATE page to learn the many ways you can donate! Thank you for your support. THIS AIN’T NO BAKE SALE!